To commemorate its 100th anniversary this year, the makers of the LA VICTORIA® brand, the iconic, Southern California-based maker of salsas, taco sauces, enchilada sauces and chiles, today announced an art contest in San Diego to help bring to life its embodiment of the “Modern West Coast Lifestyle.” From now until April 19, the makers of the LA VICTORIA® brand invite San Diego artists to submit original artwork to be considered for an opportunity to participate in the brand’s commemorative anniversary celebration on May 11. Five finalists will be selected to attend the dinner; one will be awarded a grand prize of $7,500, while the second- and third-place winners will take home $1,500 and $1,000, respectively. All finalists will also receive salsa prize packs. To enter, residents must submit photographs of five original works of art; any form of the visual arts will be considered. Five finalists will be chosen and asked to create one additional piece of art that embodies the LA VICTORIA® brand and its philosophy of the “Modern West Coast Lifestyle.” Be it a Sunset Cliffs beach scene, a craft-beer flight, or a Torrey Pineshike, artists are encouraged to bring their creativity while giving an artistic nod to the LA VICTORIA® brand. The finalists will exhibit these works at the celebration dinner. The celebration in San Diego will take place Thursday, May 11, at the Junipero Serra Museum. In addition to showcasing the artwork of the contest finalists, the brand will partner with Christine Rivera, renowned chef at Galaxy Taco in La Jolla, to honor Mexican-American culture and tradition while celebrating LA VICTORIA® Brand’s modern, West Coast approach. Following San Diego’s event, the makers of the LA VICTORIA® brand will also travel to Los Angeles, San Francisco and Portland to continue the festivities. To enter the art contest, please email photographs of five works of art to lavictoria@havasformula.com. Click here to view complete Official Rules. For more information about LA VICTORIA® foods, visit http://www.lavictoria.com. 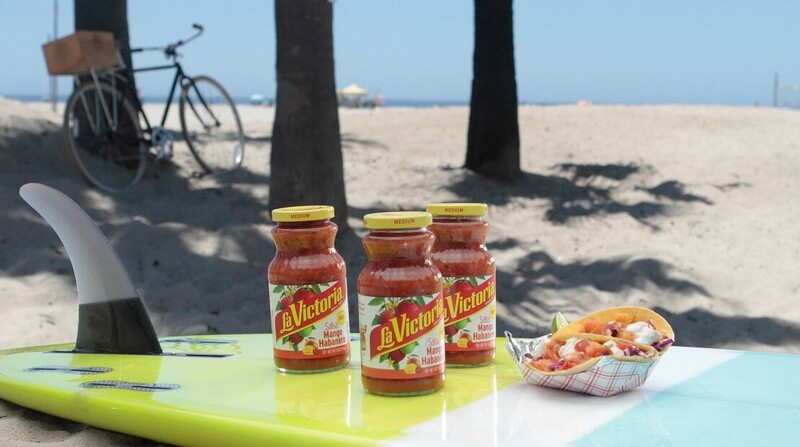 Established in 1917 on the West Coast of California, LA VICTORIA® Brand was the first to make jarred salsa and is an original maker of Mexican sauces. LA VICTORIA® brand products include salsa, taco sauce, enchilada sauce, chiles, peppers and fruit-flavored salsas. The line is known for its bold, robust flavors and is easily identifiable in the grocery aisle by its iconic jars. The LA VICTORIA® brand operates under MegaMex Foods LLC, a maker of a comprehensive portfolio of products that resonate with Mexican-American and mainstream consumers of Mexican foods. For more information about the LA VICTORIA® brand visit www.lavictoria.com or follow LA VICTORIA® brand on Facebook, Instagram and Twitter @LaVictoriaBrand.